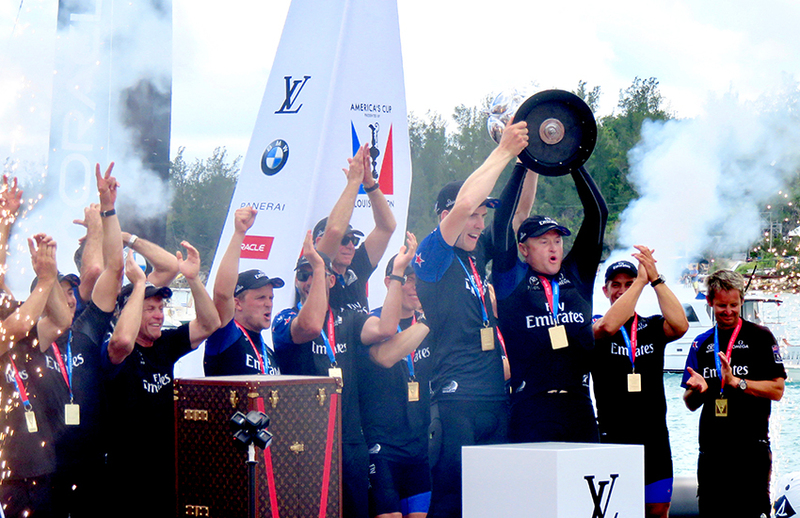 Emirates Team New Zealand Wins 35th America’s Cup! 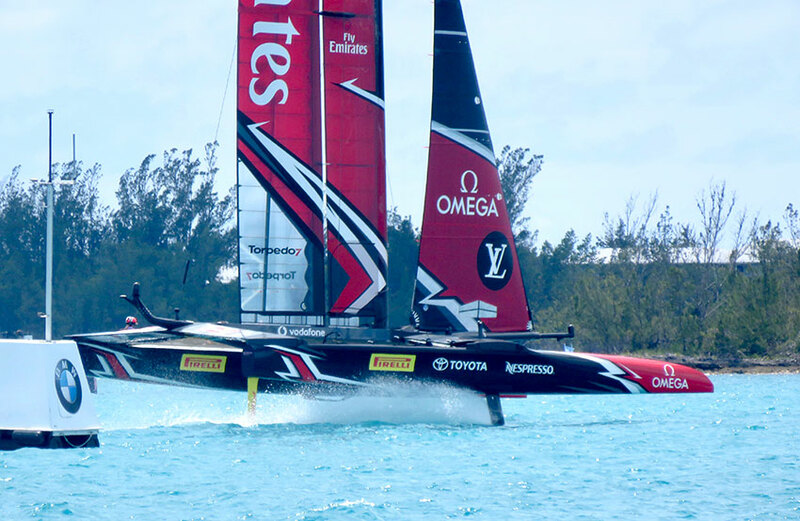 America’s Cup Match, presented by Louis Vuitton, June, 2017, in Bermuda. Some people might argue the 35th America’s Cup was not exciting because it did not have the same down to the wire drama as the 34th AC in San Francisco. But, watching two foiling catamarans fly towards each other at a combined speed of over 60 knots is pretty exciting. The speed together with the beautiful Bermuda backdrop of sparkling turquoise water made a most memorable sight. All credit must go to Emirates Team New Zealand for building the better boat, sailing it perfectly and revolutionizing the sport. They out-thought all their competition and they out-sailed ORACLE TEAM USA. The Kiwis really wanted to win after the crushing defeat in 2013 and they knew they had to think outside the box to do it. At 26 years of age, Peter Burling is the youngest helmsman to win the America’s Cup. He won the Red Bull Youth Challenge in 2013 and was immediately recruited by Dalton to drive their AC boat. With nerves of steel, he always looked cool and in complete control. On screen monitors registering his heart rate showed he was never stressed. He out-maneuvered Jimmy Spithill, ORACLE TEAM USA’s helmsman in classic match race style. When Oracle logged their first win on the leaderboard there was a glimmer of hope. It fizzled quickly. Bad starts, penalties and poor boat handling were a common theme. The race stats told it all. The Kiwis were consistently better in every department, speed, velocity made good (vmg) fewer tacks and gybes. They handled their boat perfectly and did not appear to have any control issues. One explanation for the Emirate’s success was the use of ‘cyclors’ rather than grinders to generate hydraulic power. ‘Cyclors’ gave the team a number of advantages: more strength and stamina, more aero dynamic, being hands free allowed then to perform other jobs at the same time as peddling and Glen Ashby, tactician, was freed up to control the main sail system. What will be the vision? Nobody knows. The New Zealand team were the only one of the five challengers who did not sign an agreement laying out a protocol for the next AC events. The ball is definitely in their court. In the final press conference of the 35th America’s Cup, Grant Dalton, CEO of Emirates Team New Zealand, announced that the Royal New Zealand Yacht Squadron has accepted the challenge of Circolo della Vela Sicilia, who will be the Challenger of Record for the 36th America’s Cup and will be represented by Luna Rossa. Many observers think a nationality rule will be introduced. 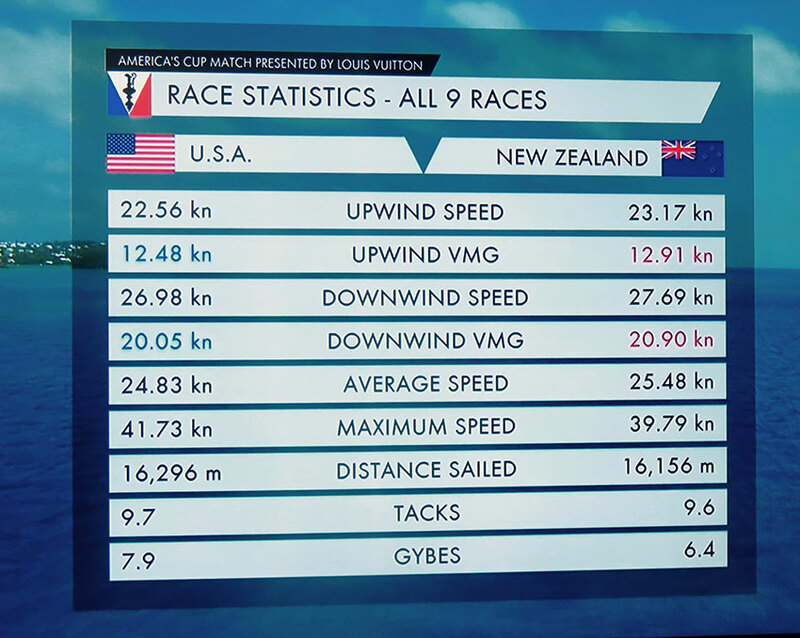 This would favor the Kiwis since arguably they have, per capita, some of the best sailors in the world. But it would be a huge disadvantage for start up teams. It has been rumored China would be interested in mounting a campaign – they certainly have the money but not the sailors – so a nationality rule would unfairly handicap. If the nationality rule applies to building the boats in the country they represent this might be beneficial to the Pacific Northwest. The Oracle boats for the 2007 and 2010 AC challenges were built in Anacortes, Washington, by Core Builders. Core Builders built all the hulls for the AC class boats out of their Walkden, New Zealand base. Principal of the company Mark Turner, a New Zealander by birth, and Head of Building for ORACLE TEAM USA might be persuaded to bring the building team back to his home town of Anacortes. After two years in Bermuda Paul Bieker, Main Designer for ORACLE, will be looking to return to the Pacific Northwest. Anacortes might be a good base for his boat design business too? His innovative designs continue to push naval architecture to new and exciting extremes.